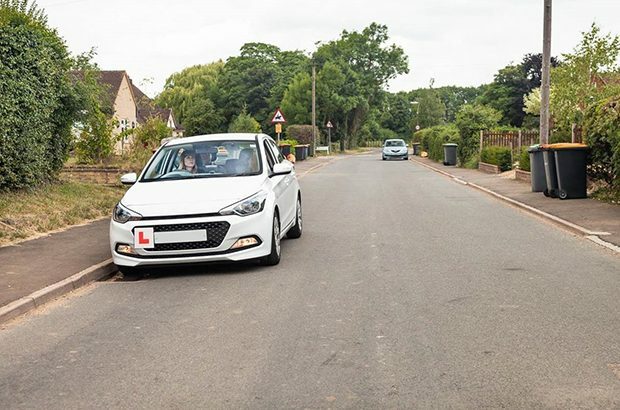 Since we confirmed the changes to the driving test would go ahead, there have been lots of comments about when it's suitable to pull up on the right of a road. I want to be absolutely clear that we’re not recommending that drivers should always pull up on the right. As you know, best practice is to pull up on the left. This is still what we expect new drivers to be taught. However, the reality is that it’s not always possible to pull up on the left. We think that it's far safer for new drivers to be taught this legal manoeuvre by a trained expert, rather than leaving it chance once they've passed their test. I know many of you already teach this and have been doing it for some time. It won't be anything new to you. As we've said before, you should still teach the ‘reverse around a corner’ and ‘turn-in-the-road’ manoeuvres. They'll still be part of the learning to drive syllabus. The observation, slow control and accuracy skills needed for those will be a vital grounding for when you introduce the revised manoeuvres to your pupil in later lessons. We currently have to spend a disproportionate amount of time in quieter side roads testing the existing manoeuvres. The revised manoeuvres can be carried out more naturally during the test, which means we can spend more of the test assessing you pupils on rural and high-speed roads - the roads they're most likely to have a fatal collision on. We had a quick look through Google Maps to find a few examples of where pulling up on the right is either the safer and more convenient option, or the only legal option. In this residential area in Liverpool, there's parking available to the left and right. But if the left is completely full, then it will be more convenient to pull up on the right. In this street in Filey, you can't pull up on the left, but there are spaces to stop on the right. In this street in Barnsley, there are double-yellow lines on the left - and someone has parked on them. On the right, there's an available parking space. We'll never know who arrived in what order, and what spaces were available, but it's a good example of when parking on the right is definitely the legal and safe option, versus parking illegally on the left. At the seafront in Aberystwyth, there are double-yellow lines on the left. To the right, there are parking spaces for Blue Badge holders. In this case, it's clearly a legal option for a Blue Badge holder to park here. If the driver is the person with a disability, it's also going to be more convenient and safer for them to exit directly to the pavement. 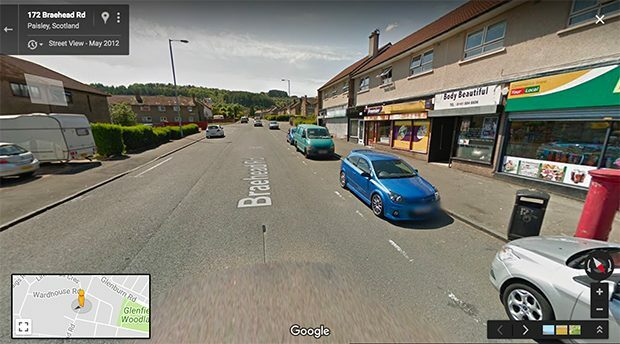 On this street in Paisley, there are houses to the left. Stopping here could block a driveway. To the right, there are shops and a postbox, and spaces to pull up and park. If you needed to post a letter, it's going to be more convenient for you and the residents if you pull up on the right. Here’s the instruction that examiners will give to your pupil while they’re driving (they won’t pull over first to give the instruction). Pull up on the right when it is safe to do so, please. I’d now like you to reverse back for about 2 car lengths, keeping reasonably close to the kerb. If another vehicle pulls up behind the car and stops your pupil from reversing back, the manoeuvre won’t be completed. The examiner will ask your pupil to drive on, and another exercise will be carried out later in the test. If a vehicle pulls up in front, the exercise will continue. If the vehicle blocks your pupil’s view, the examiner will control the situation and give them appropriate advice. This video shows an example of the manoeuvre being carried out. We still want new drivers to be taught that it's best practice to pull up on the left. But we also want them to know what factors to take into account when they decide whether or not to pull up on the right. We think that it's safer for them to be taught this by ADIs, rather than just hoping they can do it safely once they've passed their test. It's a manoeuvre that's all about observation, accuracy and control that can be carried out more naturally during the test. We know that there are lots of different views about pulling up on the right. We'll only publish new questions and observations that haven't been made on previous posts on this subject. This isn't about censoring your views. It’s to make sure comments help to answer any new questions you have about how this will work. Should have been done a long time ago as the manoeuvre is highly dangerous. Having considered having parking on the right accepted, I trust education will be given to how to set off from that position afterwards. Too many times it isn't the arrival that causes the problem, its the departure. Invariably the subject motorist will present the front nearside of the car into the live flow of traffic and only pause when the subject driver attains a view of the carriageway. The arguments for doing this manoeuvre in the circumstances described here far outway the objections I've seen. All photographs shown are excellent examples of pulling up and parking on the right. Those complaining must surely be forgetting that they must have done it themselves at some point. Hi, I agree that new drivers should be taught to pull over / park on the right but find that at night drivers don't realise how blinding their headlights are to oncoming traffic if left on for a short time. So if this is explained at the time of being taught I'm all for it. Well said and explained and good examples. I don't get what the issue is with those who feel it should not be taught. Of course best practice is to stop and park on the left but reality says otherwise. It is excellent to have included it as a possibility in the test as may I say is forward parking and reversing out. I really understand the reasons for this. I had a real life experience recently with pulling up on the right. We started the manoeuvre, pulled up on the right, and was followed in by a delivery van behind us, therefore not allowing the reversing bit. We then had to move off and our vision was impaired by vehicles in front of us. We (pupil) could not see what was approaching us so I had to intervene as the eyes. If she was on her own she would have moved off blind onto the right hand side of the road and there was traffic approaching. Learning took place! She said 'I'll never park on the right again'. I have always taught my pupils that pulling up on the left is safer and why! However, I do agree that they need our help to be able to do this if it's their only option! I find your piece informative and reasonable. However, it is not a legal requirement for a learner to take lessons with an approved ADI. How do you propose to police the fact that the other manoeuvres are taught and the real life risks and decisions are covered? In particular with respect to any candidate who arrives in their own vehicle and potentially with no practice of the other manoeuvres and/or the real life risks and potential issues that can easily arise when pulling up on the right. Also still to be answered is How are we supposed to teach/coach this scenario if someone is only able to do lessons after the sun goes down in the winter. As far as I am aware if there is no available one way streets(which would only be a simulation anyway) or marked parking areas available then would it not be technically illegal to practice? If not, why not. We have a right to indemnify ourselves against the possible outcomes. Of course it makes sense to teach and test pulling up on the right, because people will always have to do it. I can't believe that some ADIs don't teach bay parking to pupils who will be tested at a centre without a car park, or "real" parallel parking into limited space between two cars, which isn't a practical option on test. I have also always taught "independent" driving following signs, long before it became part of the test, as I believe all competent ADIs have. I wonder how many will stop bothering to teach turn in the road and left reverse after 4th December. I certainly won't! I can't actually believe that the DVSA decided they are outmoded manoeuvres "because everyone is using satnav and doesn't go the wrong way anymore". Anybody who says that has never used a satnav! In Runcorn, satnav still tells you take expressways that were demolished over two years ago! And 14 of the 22 pupils currently on my diary live in a close or full-de-sac. Nobody needs to turn around? I'm glad they're coming out of the test, though, as pupils stress too much over manoeuvres on test. Now I can teach them just as a practical thing you need to be able to do safely, rather than being seen as an exam question - a task which must be carried out with immaculate precision, even though I tell them until I'm blue in the face that it doesn't. Overall, though, I think the changes are quite sensible. When pulling in onto the right and driving off, is it required to signal as is NOT shown in the example? I would expect every adi in the country to be able to carry out this manoeuvre without any training so why is there such an uproar about it being included on the test? Is this manoeuvre being introduced for other categories, in particular BE, D1, C1? Points well made and a logical explanation of where this new exercise would be relevant to modern driving requirements. Personally I have no issues with this being included in the driving test. I've always given my pupils the opportunity to pull up on the right so it's nothing new to me and also to right parrall park! So why isn't that in the sylabos or indeed the NEW test some of the examples you show talk about parking on the right so isn't that leaving that to chance when a new FLH has only a two car length gap on the right to park? I am all for adding new things to the test if it leads to safer drivers but WHY take the reverse corner and turn in the road out completely surely one in five tests should be one of them youve done it with the independent drive. It will lead to instructors never teaching these two manoeuvre, if not straight away but in the near future isn't that leaving things to chance again! I do agree that pulling up on the right is real life driving but i think the test should concentrate more on driving on rural roads as most collisions tend to be on these roads. As a lot of instructors tend to teach pupils just to pass a driving test i think teaching on rural roads will be overlooked. Thank you for this infformation, I was shocked when I first heard this was being introduced but I the mean time realise that I park I the right in 2 situations whilst picking up pupils. Very informative.